Cher and I went to Clarke Quay last night. Wah! Since when did it become touristy?! As I was walking to The Clinic I saw so many Chinese and Japanese tourists complete with camera dangling from neckstraps and waist pouches. Also have you noticed that tourists always wear tee-shirts, berms and sport shoes?! Why??? We went to Clinic, which is nice. I wanted quite badly to try the drink that is served in IV drip format but in the end settled for 3 shots of something blue-y that tastes of butterscotch and strawberry. Yummy. Then we went to Barfly, which I like much much much better! 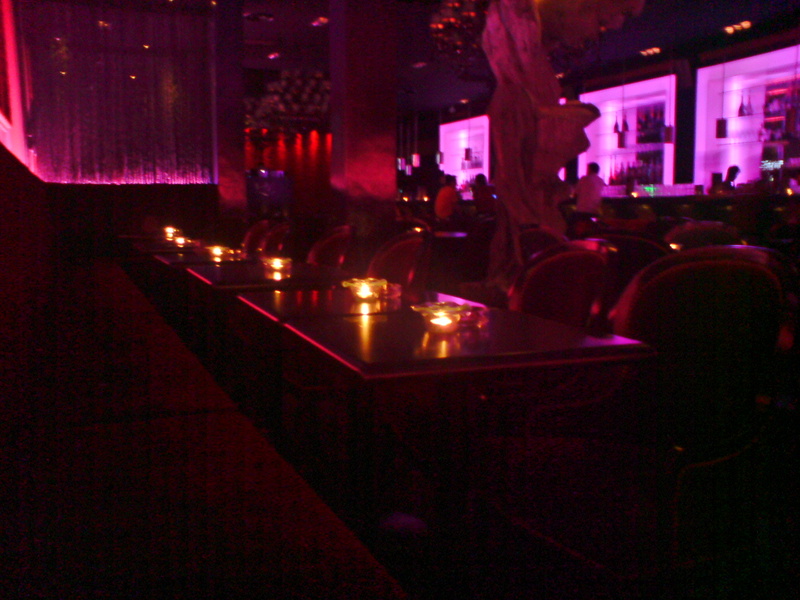 Very nice ambience and the staff was really polite and non-snob. As in they asked if it was our first time and if we wanted to be shown around. 🙂 The only downside I can think of it the toilet is located in such a weird place. It was really funny. Cher and I were standing in the middle of Barfly thinking ‘Should we stay here or go to Kandi Bar?’ And the staff who was showing us around said ‘We have a promotion tonight, 1 for 1 on all martinis’. We were immediately sold. ‘OK! Table for 2 please!’ We said brightly. I love love love the chocolate martini. I preferred it to the one I had at The Balcony.